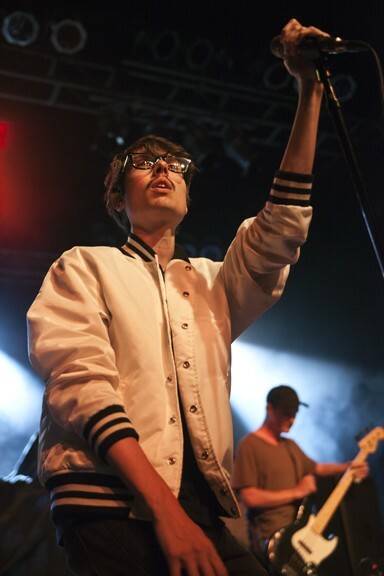 From the hour-long fury of Foals' set to the driving rock of Silversun Pickups and the solid warmup rock of Joywave, there was rarely a dull moment during Thursday night's concert, which also served as the 21st birthday party for local radio station 106.5 The End. 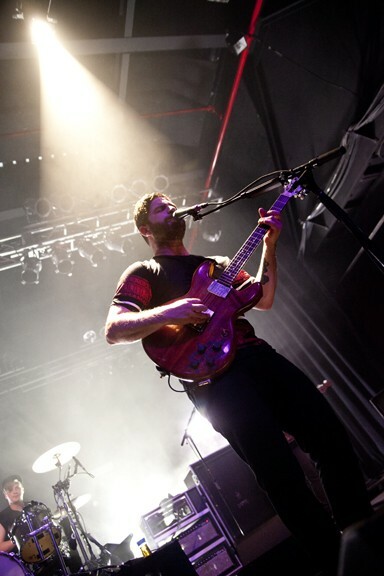 Foals offered 60 minutes of intense rock thunder that was relentless for the duration. Halfway through, I kept thinking, "I pity the band that has to follow these guys." 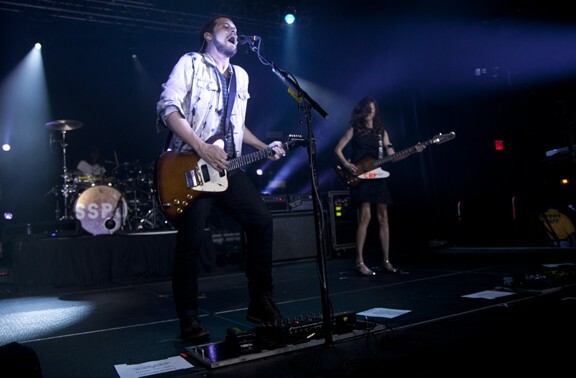 While Silversun Pickups sometimes skews more mellow in radio play, the band had no problem holding its own as the headliner, finshing the one-two punch without a problem. Just when Foals' set hit its peak with "Inhaler," singer Yannis Philippakis made his way into the crowd for a short stint of crowd surfing to cap things off. Perhaps the 30-minute set break that followed was welcomed for the night's headliner. 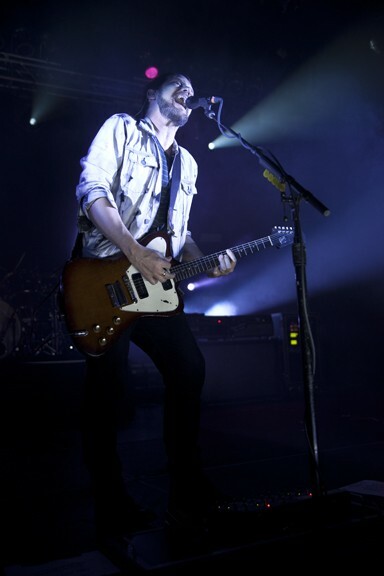 When Silversun Pickups first started making waves on the radio, there were constant comparisons to Smashing Pumpkins. That was then, this is now. Silversun Pickups has created its own identity and the band's live performance gives even more reason to shrug off any Pumpkins comparisons. Nikki Monninger was on an invisible pogo stick for a good portion of the evening, bouncing along while her bass handled the low end. While Brian Aubert's vocals were as much of a focal point as his guitar work. He's also become a lot more active on stage and pushes the band's music forward with force instead of laying back into the songs. It's always fun to listen to bands that continue to get better with age and redefine the sound they create and Thursday night's show offered three stellar examples of how bands can do it right.